Presta Products provides professional-quality car detailing products and buffing compounds to automotive body shops and car enthusiasts. Specializing in car care products since 1953, Presta has earned a solid reputation in the paint and body shop industry. Now, Presta Products is proud to offer its impressive line of car washes, car waxes and other car care accessories to car enthusiasts. Two ways to buy! 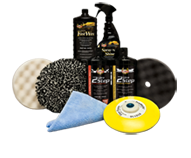 We are happy to provide two ways to get the car care products you need. First, you can click on the “BUY Local” button to find a Presta distributor in your area. Or, if you prefer, you can buy direct from our website. Please note, however, that for larger sizes and larger order quantities it is to your benefit to order through your local jobber store or distributor.